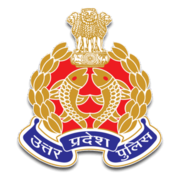 UP Police Computer Operator Revised Answer Key 2019: Uttar Pradesh Police has issued the Answer Key on 05 Mar 2019 for UP Police Computer Operator Revised Exam 2019 which was conducted on 21 Dec 2018 to 22 Dec 2018. Answer Key can be accessed from the link given below. Eligible candidates may send their application in prescribed format (attached below) to ADDRESS on or before 15 Jun 2017, along with DOCUMENTS_LIST.